As soon as the word Blu Ray was added to our vernacular, Doctor Who fans immediately wondered how the series would fit into this new format. I have always let Doctor Who lead me into adventures into new home video formats to watch my favorite series. As soon as stories started to come out on VHS, I was collecting like crazy. Unlike the program on PBS, once the VHS line started to really get going these were in episodic format. To me that was the only way to watch it. 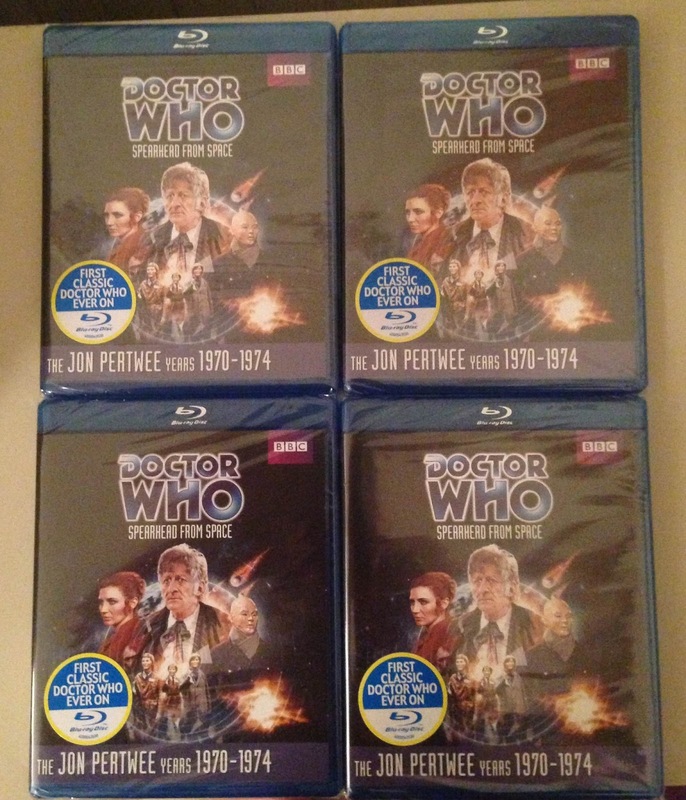 DVD came out with the first Doctor Who story in that format, The Five Doctors. I bought my first DVD player when it was released in the UK in 2000. Jump forward to 2009, Doctor Who moved away from being made in SD and finally entered the HD arena. 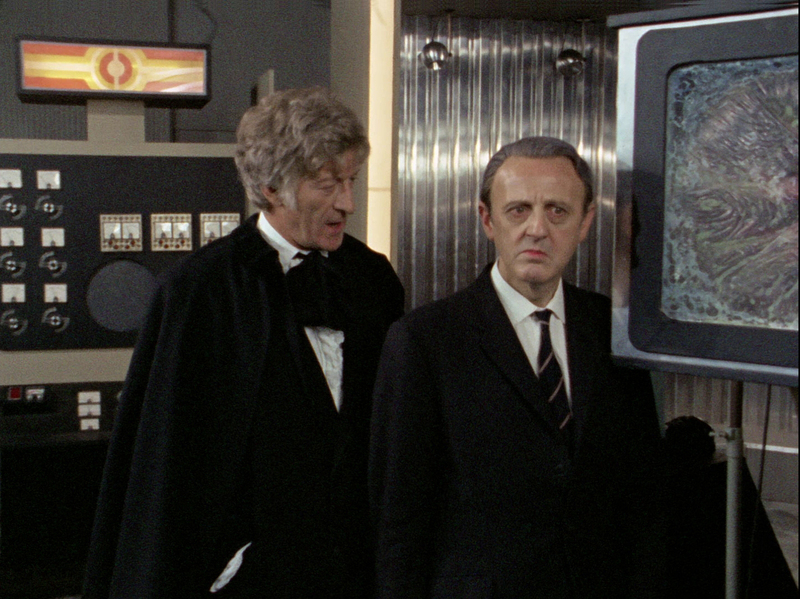 The first Blu Ray release for the series was Planet of the Dead. I kitted out my whole home entertainment center to be able to watch the story in HD. I even got into laserdisc! We knew eventually something was going to come out on Blu Ray from the Classic Series, right? Now, having the classic series on Blu Ray is not as simple as it may appear. As is painfully obvious, the series was made in SD which means Standard Definition. There are a couple of ways to allow these Classic Series stories to appear on Blu Ray: Up Convert the SD video to HD with varied results or put the stories on Blu Ray as SD files but given more capacity to have less artifacts introduced in the compression of the episodes. I have people tell me that this option is not possible as it is not allowed in the official specs of Blu Ray. I do not know where they get that information from and if someone could point me in the direction of those specs, I would be very appreciative. With all of that said, there was one story which was always viable to be put out onto Blu Ray. That is the introductory story of the Jon Pertwee era, Spearhead from Space. 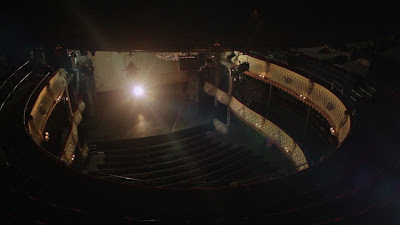 Due to a strike at the BBC, brought on by the Association of Broadcast Staff, Doctor Who was to be made entirely on location and entirely on 16mm film. If you have ever sat through every episode of Doctor Who from the very first episode to Spearhead from Space, you will be able to appreciate what a shock it was in terms of production values. Because Spearhead from Space was shot on film, this has given this story a lot of latitude to be scanned at many different resolutions as technology continues to improve. Though the argument has become how much can be gained out of a 16mm film recording. I am sure just about anyone buying this release or even reading this article probably has a good idea why this story is special beyond its technical merits. 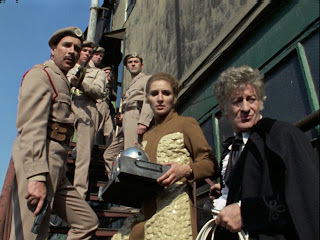 This was the first story to feature a brand new Doctor played by Jon Pertwee, it is the first time a season of Doctor Who is not made to be shown virtually over the entire year but most importantly it is the first story made in color. Color was very new for the BBC. BBC2 was the first channel in Europe to begin regular color broadcasts. This was in 1967. By the end of production of Season 6 of Doctor Who, the production team knew that the series was going to return in color and was hoping that would be one of the selling points to keep Patrick Troughton in the series. That and of course the vast reduction in the amount of episodes made a year. If you are a keen science fiction fan, you may recognize the opening to Spearhead from Space is similar to the opening of Quatermass II. 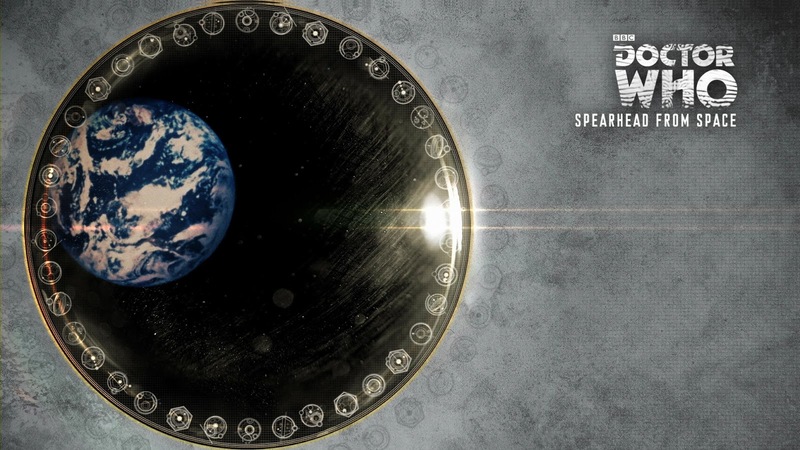 The story begins with meteors landing on Earth but with a distinct purpose. They are intelligently controlled. Just as another round of meteorites are landing, the Doctor’s TARDIS lands revealing the new incarnation of the Doctor still wearing his predecessor’s clothing. This story is roughly linked to the previous story The War Games in the sense of the whole reason why the Doctor’s appearance change and why he has been exiled to Earth. Thankfully it is loose and only serves the purpose of continuity. Right from the start the story serves almost as a pilot for things to come. At least for this season, gone are the alien planets. Since the Doctor can’t leave Earth, the monsters and threats need to come to Earth. Former Script Editor Terrance Dicks mentions elsewhere that writer Malcolm Hulke explains that this new format change allows for about 3 story options. I disagree but I am biased as I love this format. We get re-introduced to the UNIT organization which we last seen in The Invasion. UNIT is really impressive in Season 7. 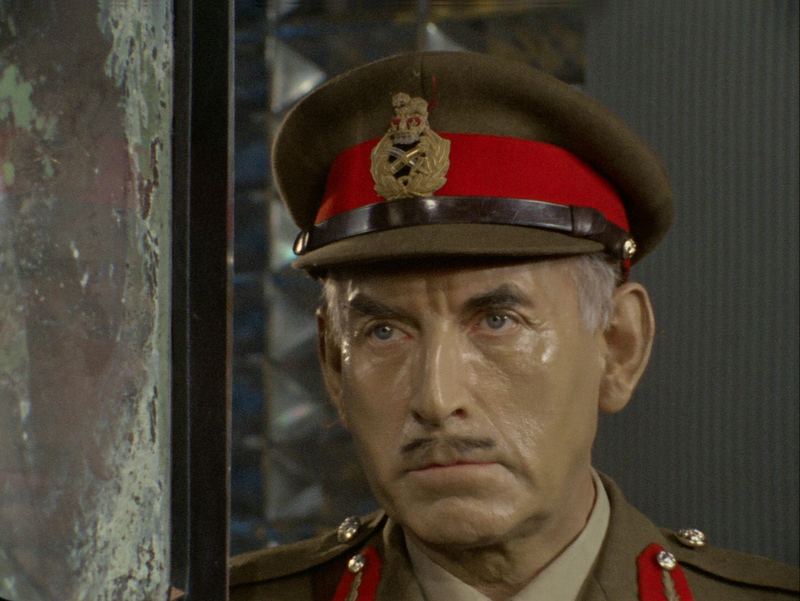 It feels like a big organization with Brigadier Lethbridge-Stewart commanding a lot of people. 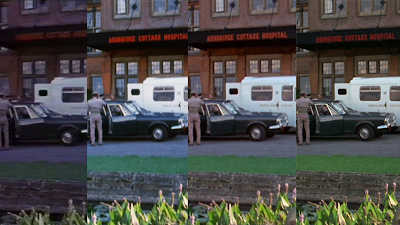 There is a great scene where he is driven up to the hospital and driver opens the door for him. It shows he was one important dude! In later stories, as early on as Terror of the Autons even, it feels like there are only four people who work for him and they all travel together in a hatchback or something. We also meet Liz Shaw. Zoe had been considered an almost equal to Troughton’s Doctor just because she was a genius level girl who was very logical but Liz Shaw really was an adult woman. She had an air of sophistication and glamour that had really never been seen on Doctor Who before this story. This story in particular she has also has a sort of severe look to her. Her hair is up and Liz herself is kind of uptight as she is “commandeered” to join UNIT. 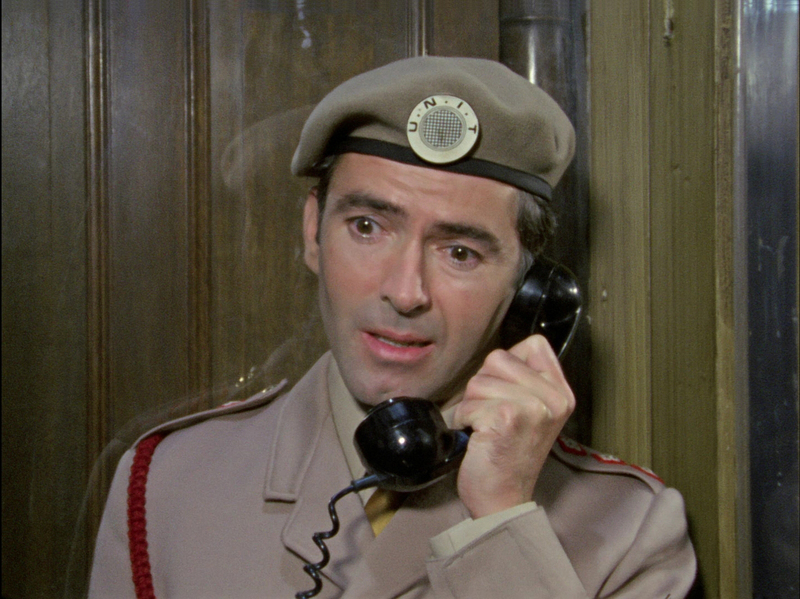 This story introduces one of the neatest Doctor Who villains of all-time. The Autons. Even the name is a cool 1970s terms. They were regarded high enough to be the villains of the re-launch of the series in 2005. One of the reasons why I liked them so much is that they could run after you. Most of the previous monsters in the series kind of stop and roared then lumbered after a character. Often the character would have to slow down to allow the monster to catch up. In this, the Autons would run after you. Look at the escape of Ransome in Episode Three of this story. It actually is scary. The Auton is running after him. It is very effective. The thing I love about this story is that it looks like it is from 1970 but in a cool way. I know the pedantics of the world will tell me that it was filmed in 1969. I know. The story just looks cool. 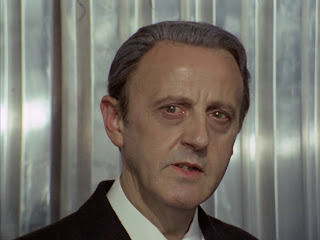 I love the way the Autons look, I love how UNIT headquarters is spacious, and I love the music by Dudley Simpson. This story also includes one of my favorite sequences in Doctor Who. 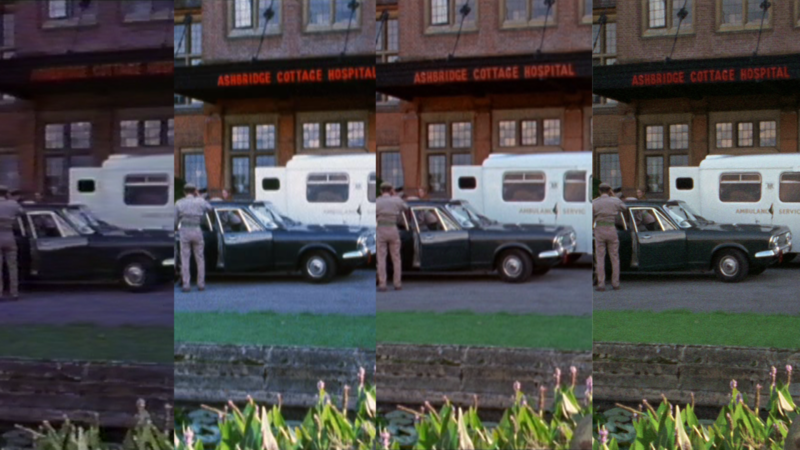 It seems like such a small thing but I love the tracking shot in Episode One as the Brigadier and Captain Munro (with Liz Shaw following behind) are walking down the long corridor on their way to see Dr. Henderson. It is a marvelous shot and I love the overall scope to it. The hallway is busy but the two men just stride down the corridor while everything is going on around them! Of course this is the first story to feature Jon Pertwee as the Doctor. It’s funny because it is well known that he was asking people how to play it and he was told to play it as Jon Pertwee. Jon’s response was who the hell is he? I think what is funny about that is that is he actually plays the role very light-hearted in this story. This is probably more so than any other story. Perhaps even light-hearted isn’t the right word but I think he had the absolute perfect balance between comedy and drama in this story. Pertwee is a favorite of mine but in some stories he can be too harsh. I think he is really too harsh on Jo in The Dæmons as one example. This story was a wonderful start to Jon’s career as Doctor Who. Caroline John joins in as Liz Shaw. Once again, she was a very sophisticated character that was a bit prickly in Spearhead but does warm up a little. Also there is Nicholas Courtney putting in a grand performance as the Brigadier. This story brought us some other great actors. Leading this was Hugh Burden. He is great in a series from around the same time called The Mind of JG Reeder. Burden plays Channing and is suitably creepy. In fact, I am glad the Hugh Burden never came back in Doctor Who because he was perfect in this role and any return might have ruined that. John Woodnutt making the first of three appearances in Doctor Who. He plays Channing’s unwilling henchman Hibbert. Hibbert didn’t know what he got himself into when Channing entered his life. Neil Wilson who played Sam Seeley made a very early appearance in television in the 1953 serial The Quatermass Experiment. Hamilton Dyce puts in a great performance as Major Scobie. I have seen Dyce in a number of things before including The Avengers. Finally, we get an appearance from one of my favorite character actors, Talfryn Thomas. He appears later in The Green Death but also (amongst many other roles) has an amazing turn in Series 1 of Survivors playing the part of Tom Price. If you have never seen that series before, look for it. Especially Series 1 is magnificent. His role is pivotal. This story was directed by Derek Martinus. This was the final time he directed for Doctor Who. I’ve always enjoyed the way he directed stories. I wish he would have done more of them. Robert Holmes wrote the story and for me this was the first proper Robert Holmes story. 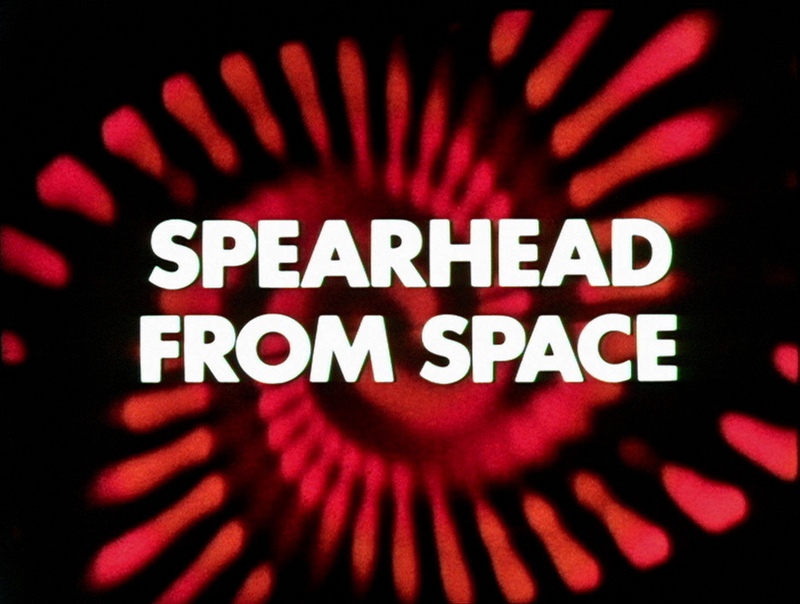 I enjoyed The Krotons and I like most of The Space Pirates but Spearhead from Space is the start of a string of stories that really molded a lot of what many of us hold dear of Doctor Who today. So the serious question, what about the picture quality? As we all know, this is the first and really only classic series story that can be seen in proper HD. The only other contender is the TV Movie but that would require tracking down all the 35mm film elements (if they even exist) and recreate all the effects. Spearhead from Space looks gorgeous. That is all that needs to be said. It is what I hoped for out of this Blu Ray. I have watched it many times now and I am so happy with the results. 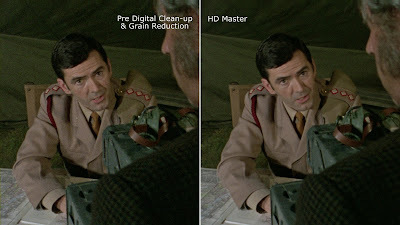 As for people’s argument that 16mm film will not benefit from an HD transfer, that is rubbish! It is full of amazing detail. That being said, there is a lot of grain to the picture. It seems like a lot to me but that is a minor quibble. I love the detail in the picture and there is a lot I see that I have not noticed before I watched this Blu Ray. 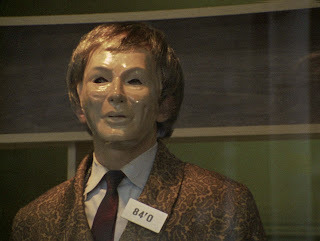 For example, the Autons in the shops before breaking out, take a look and you will see that none of the masks have mesh over their eyes. In fact you see human eyes. 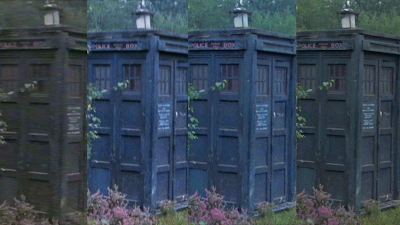 Now, this next example may not be obvious only in HD but I had not noticed it before. When the Doctor and Liz are at Madame Tussauds to examine Major Scobie, one of the “wax figure” is definitely blinking and moving behind them. In fact, she is horrible. Yet, Hamilton Dyce does a pretty decent job keeping himself still. The one let down with the quality of the disc is that it was last released relatively recently in 2012. When originally released on DVD in 2001 the restoration was good for its time but the DVD release in 2012 was virtually a revelation from what we had ever seen before. Don’t get me wrong, this restoration and HD quality is far better than what is seen on the 2012 DVD release but it would have been great to see the jump in quality from the 2001 release and then to the Blu Ray without this other release in the middle. That would have been eye popping. This restoration went back to the original negatives which yielded great results. 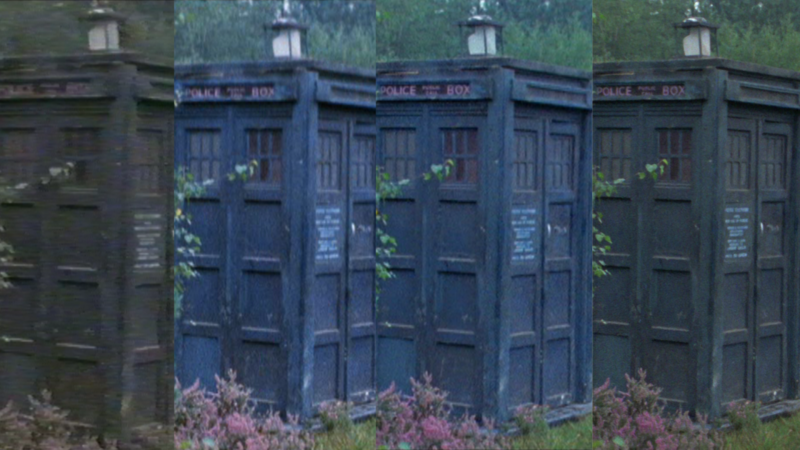 It also has the TARDIS sound effect returned to how it was on transmission which made me very happy! I really did not like the “fix” that was on the 2012 DVD release. To me, that is worth the price of a new release alone! For some reason which I find somewhat baffling, none of the extras that are on the DVD release have been ported over to the Blu Ray. I don’t think any reason had been given and it may have been a budgetary one. I think it is too bad but there are some other extras which are quite good. There are two documentaries on this release. A Dandy and a Clown and Carry On: The Life of Caroline John. These documentaries are superb. It feels like Chris Chapman who produced the documentaries decided that the level of these productions needed to be raised since it was going on a Blu Ray. The content is touching and informative and the production values are elegant and very high. The documentaries that are on the DVD range are very good yet with some creative decisions that left me a bit baffled. These two documentaries on the Blu Ray are truly a step up which I think is high praise since the rest of the range is so good. 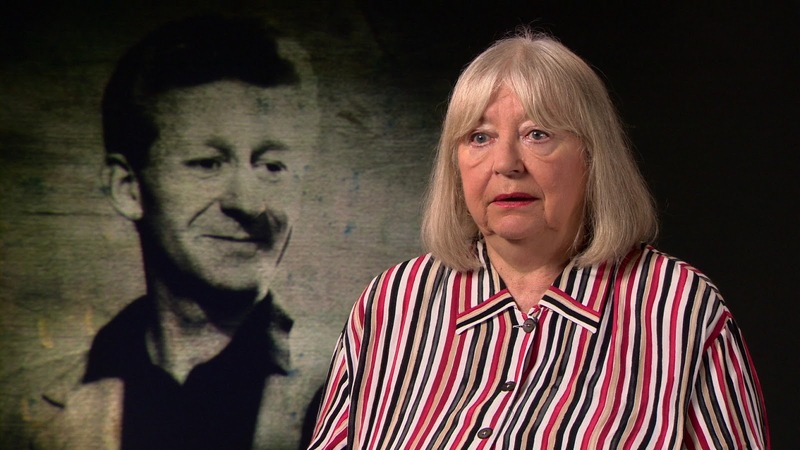 I also learned a bunch of new things about Jon Pertwee and Caroline John as you will too. Title Sequence Material: This was made for me. 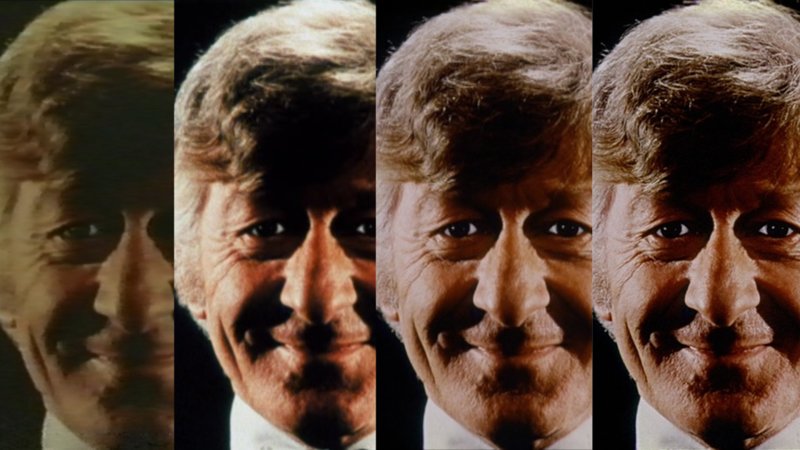 It is 22 minutes long of material used to make up the Jon Pertwee title sequence. Yes I watched it all and loved it! 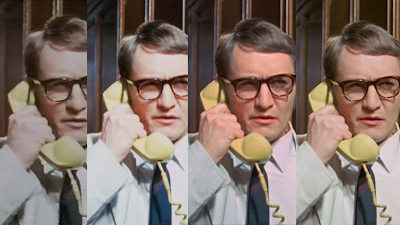 Restoration Comparisons: It does what it says on the tin. It compares the different versions of this story and see how much nicer things look now. I am so glad this is on the disc. Packaging: I am sure fans of the US DVDs are happy that this release keeps the same cover format as the DVD release just in a Blu Ray size. 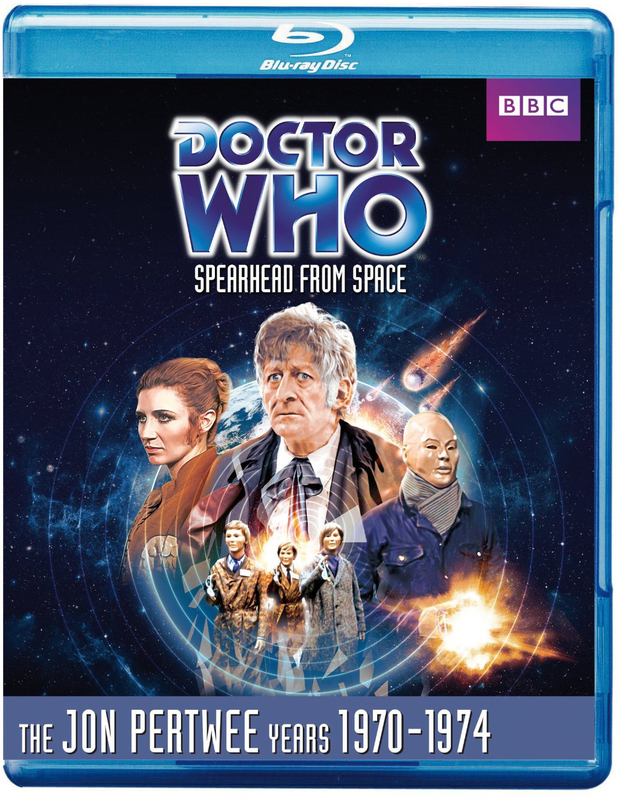 I can appreciate that yet I have never been happy with the pic they use of Pertwee on the spine. We are looking up his nose and if you watch the documentary A Dandy and a Clown we know he hates shots like that! The cover is by Lee Binding and it is given an effect to look like a painting. 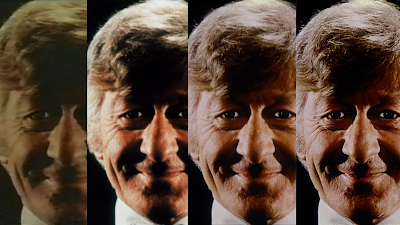 This is fine and almost is pulled off but Pertwee has gone a bit Marty Feldman on us. Something else of note is that the menu for this Blu Ray is very simple but really nice. I like it because it is so simple. 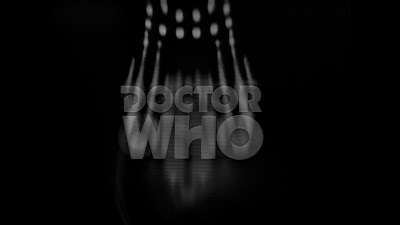 I also like that what I think are Gallifreyan symbols around the picture of the menu are the same one on the Regenerations box set and possibly seen elsewhere. Something tells me this probably won’t be the last classic series Blu Ray release but this will be the most authentic. This has been mastered from the best materials available and the results are a triumph. 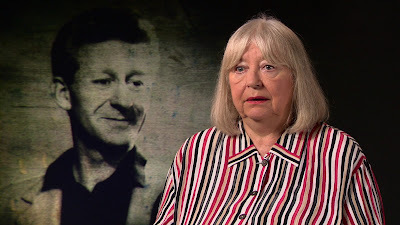 The documentaries are great and this is a great tribute to not only Doctor Who but to Jon Pertwee himself. This is a must buy release or if you don’t have HD or Blu Ray than perhaps it’s about time to make that switch! Milestone: I have written and article or review of every story of Season 7. This is the article for Blu ray. 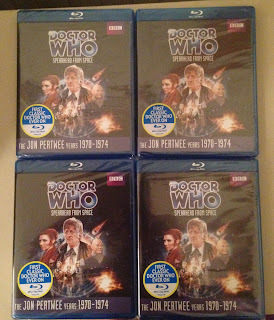 This Blu Ray give-a-way is courtesy of BBC Home Entertainment. Next Review: Massive backlog. Midsomer Murders Set22, Smiley’s People Blu Ray, Doctor Who: The Green Death, The Thick of It Complete Series, and Prime Suspect Blu Ray all coming your way! 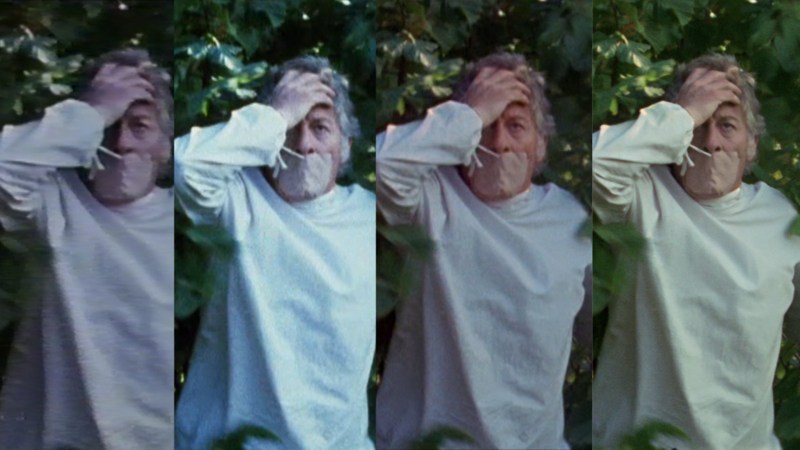 Speaking (well, writing anyway) as one who has yet to get the 2012 dvd release, the new Bly-Ray screenshots look very impressive. A huge improvement over the original dvd release. Finally picked up both the Spearhead blu-ray and had a quick look. AMAZING! I will be watching it properly today, but just the brief look on the pc was simply stunning.